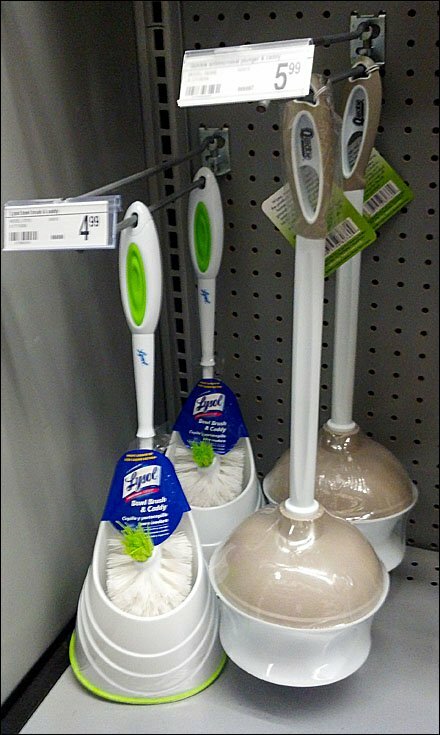 It has been a long time since I have added to my thread of fascinating Toilet Plunger merchandising fixtures. The Straight-Entry capability of these Flip-Front Scan Hooks added functionality and made the otherwise mainstream fixturing more noteworthy. Hook Straight-Entry would be an advantage in a crowded and jumbled housewares display like this. The only fault I could find is probably more due my Obsessive-Compulsive Disorder than anything else. 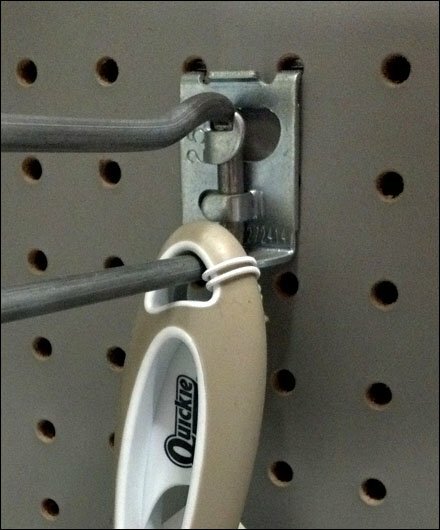 I would have positioned the two hook backplates at the same height on the Pegboard. The shorter Bowl Brush would have tucked nicely into the space higher up. CLICK the thumbnail for the backplate detail.